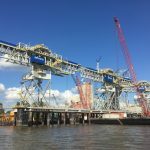 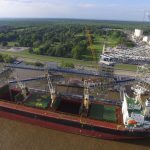 Agrico, on a design/build basis, supplied a three fixed tower ship loading system at a major grain export elevator (Bunge) in New Orleans, LA. 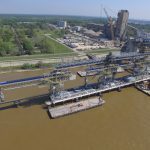 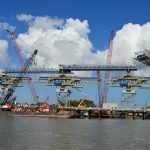 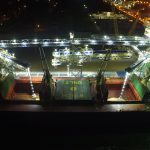 These ship loaders feature rotating and shuttling booms that offer virtually dust-free loading while providing full coverage of Post Panamax vessels at 120,000 bu/hr (3,200 MTPH). 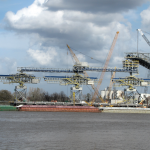 Grain is received from three conveyors from storage and is distributed among the ship loaders.